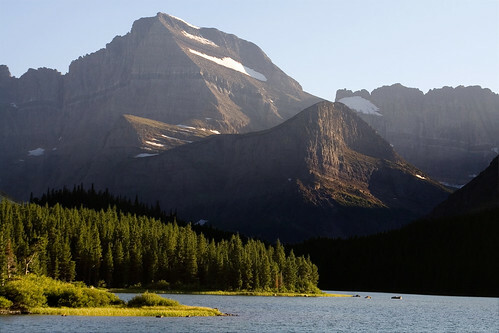 Mount Gould rises above Swiftcurrent Lake. Taken during our late afternoon hike around Swiftcurrent Lake on the Swiftcurrent Nature Trail. This entry was posted on October 7, 2008 at 7:42 am and filed under Glacier, Glacier National Park, hike, lake, Many Glacier, Montana, Mount Gould, mountain, National Park, sunset, Swiftcurrent Lake, Swiftcurrent Nature Trail, trail, vacation, water.